There is a happy place in San Francisco's Golden Gate Park that is heaven for Bay Area inline skaters and roller skaters who like to boogie to the funky beat on wheels. The area is is called, "Skatin' Place". It is located at 6th Avenue and Kennedy Drive in the park. 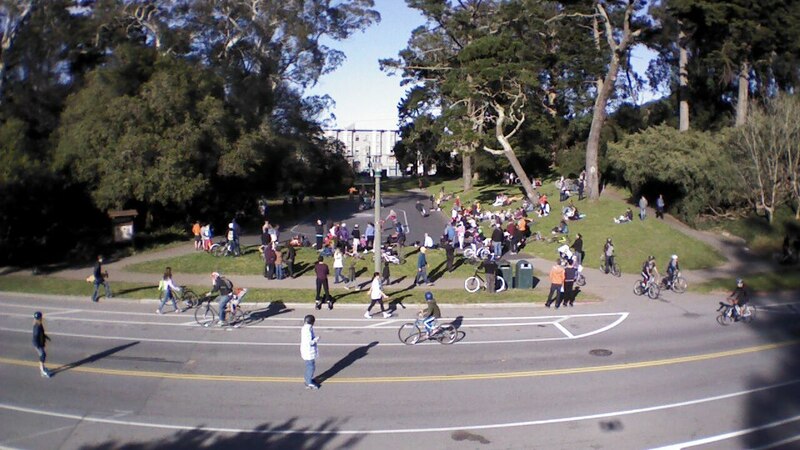 It has been officially dedicated and recognized as the home for outdoor roller skating in the San Francisco. Skaters have been rollin' here since the roller disco days of 1979 when it was common to see 15,000 to 20,000 people flocking to the park to skate on Sundays when there are no cars. The closed roads become a safe recreational paradise for runners, walkers, skaters, cyclists and others who were looking to escape the pressures of the fast paced city lifestyle and enjoy themselves in a lush, green, sylvan park environment. It was and still to this day is an absolutely wonderful scene and a great way to spend the day in San Francisco. At all times surface area should be free of all foreign objects with the exception of slalom cones or tools to teach or perform roller skating tricks and moves. Ramps, slide bars, wooden pallets, tree limbs and other foreign objects are barred from this area. A "glide lane" has been painted onto the skating surface. People must skate counter-clockwise on the rink surface. This is typical roller rink protocol. 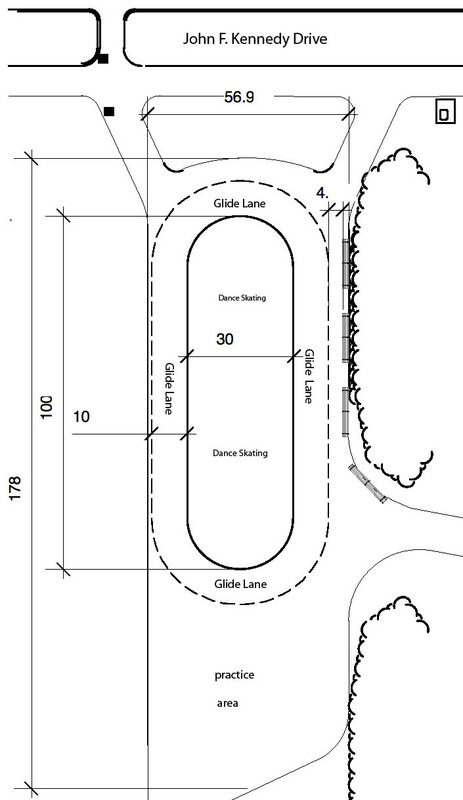 This gives some skaters the opportunity to glide to the beat of the music with speed while other skaters dance or practice in the center. 4. When it is crowded, inexperienced skaters and small children should skate in the area to the north of the glide lane. This will provide a very safe, smooth area for them to gain the experience and still enjoy a fantastic time skating in Golden Gate Park. Everyone participating here must skate in a safe and prudent manner and must not skate in a manner that threatens or endangers others. Coming to the park? E-mail me at Sk8GodFather@cora.org or call 415-752-1967.